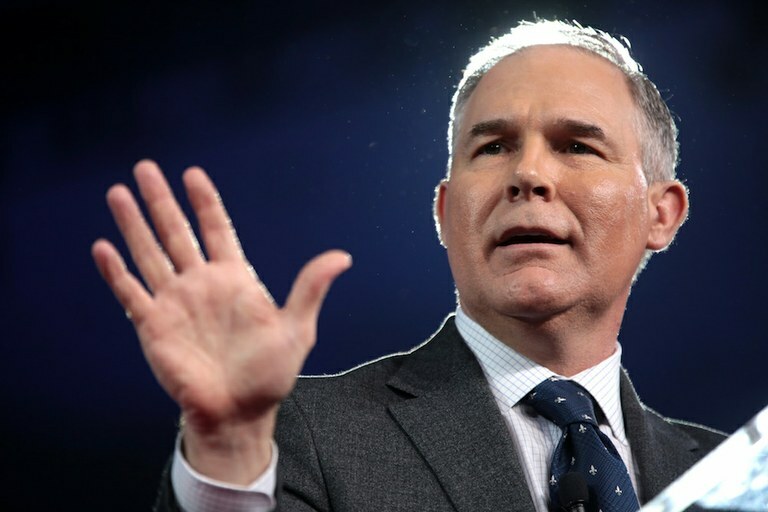 Scott Pruitt, the administrator of the Environmental Protection Agency, has blamed the media and the “learning process” of his job for the flurry of ethical controversies that have engulfed his tenure, during a lacerating congressional hearing on April 26. EPA Administrator Scott Pruitt, pictured here in 2017, faced tough questions from lawmakers during congressional hearings on April 26, 2018. However, Pruitt did not offer explanations for the numerous revelations and did not deny that he authorized sizable pay increases for two staffers, against the White House’s wishes. “I wasn’t aware of the amount nor was I aware of the PPO (presidential personnel office) process not being respected,” he said, saying the matter was “delegated” to Ryan Jackson, his chief of staff. Pruitt declined to apologize but said the ethics scandals have proved a “distraction” to the EPA. He said he had no idea of the $43,000 spent on the soundproof booth and cited security concerns for the first-class travel arrangements, reading out threats to “put a bullet between your eyes” and another that said: “I hope your father dies soon in agony in front of your mother.” This was despite a recent report claiming that Pruitt flew in coach on some flights that were at his own expense. Frank Pallone, another Democrat, said Pruitt had used the job to “enrich himself and his corporate friends” with the apparent approval of Trump. “If I were the president I wouldn’t want your help, I’d just get rid of you,” he told Pruitt. Environment groups and Democrats have called for Pruitt’s removal, joined by a small band of Republicans. During the committee hearing, Republicans praised Pruitt’s deregulation agenda but some also raised concerns over his spending. “These issues are too persistent to ignore,” said Greg Walden, an Oregon Republican. Joe Barton, a Republican representative from Texas, used his time to ask Pruitt if he had rented a “party jet.” Pruitt said he hadn’t. “Well, that’s good,” Barton said.